3. Sell a proven product/service. 7. 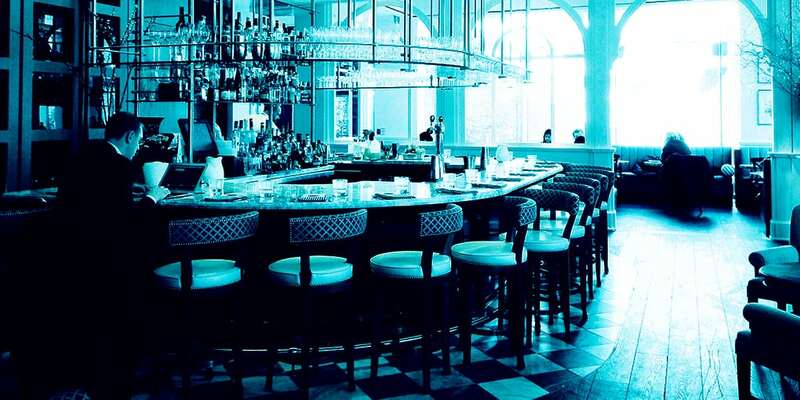 Work at a high-end restaurant. 9. Be a virtual assistant (VA). Try one or all of the above. When I was in school, the way you gained experience was by taking on an (unpaid) internship for a semester or two. The thinking that “this is the only and best way” is still prevalent among students (and their parents). Unfortunately, it’s also why nearly 50 percent of grads are unemployed or underemployed. In 2011, 21 million people were enrolled in colleges across the U.S. yet only an estimated two million completed an internship; or in other words, 86 percent of students didn’t take on any internships; and therefore, didn’t gain any professional experience in college. Internships require a massive amount of resources for a college student. Not only do you have to pay your school in credit hours to intern legally, but you also go into an office (usually) X amount of hours per week, which can be difficult for a busy student to do. In fact, reports show that the minority of students, who do intern, are able to because their families have the resources to support them so they don’t have to pay their own bills. According to Intern Bridge, 64 percent of students report they’d have to work a SECOND job if they accepted an unpaid internship (in addition to their college workload). And only 35 percent of students report their parents would help them financially if they chose to undertake an unpaid internship. Yet, 91 percent of companies expect grads to have one to two internships on their resumes. The good news is you can circumvent this catch-22. When employers say they expect you have one to two internships on your resume, what they’re saying is that they expect you to have some identity capital when coming out of school. 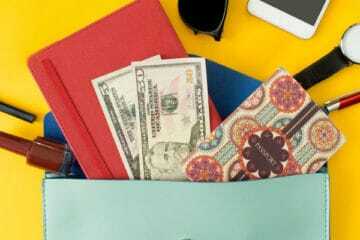 And the best way to gain some identity capital is probably not through an unpaid internship, but rather by finding some alternative way to learn and earn. In this post, you’ll learn proven ways to learn and earn while in college… that don’t include running coffee for free. I ranked “freelance writing” as No. 1 on my list because it’s the ultimate way to get paid while building a name for yourself. Not only will writing solidify you as a subject matter expert, but A LOT of blogs are on the hunt for good freelance writers, with the rise of content marketing. Editors usually pay per post—anywhere between $150 and $500+ per article, but don’t expect to make the high-end of the spectrum until you’ve proven yourself. You can find writing gigs on freelance job boards and/or pitch publications you find through research. Start with the smaller blogs and work your way up. How do I land gigs with no experience? Where can I find freelance writing gigs? Let’s answer those babies for you. Your answer lies in the center of a Venn Diagram. 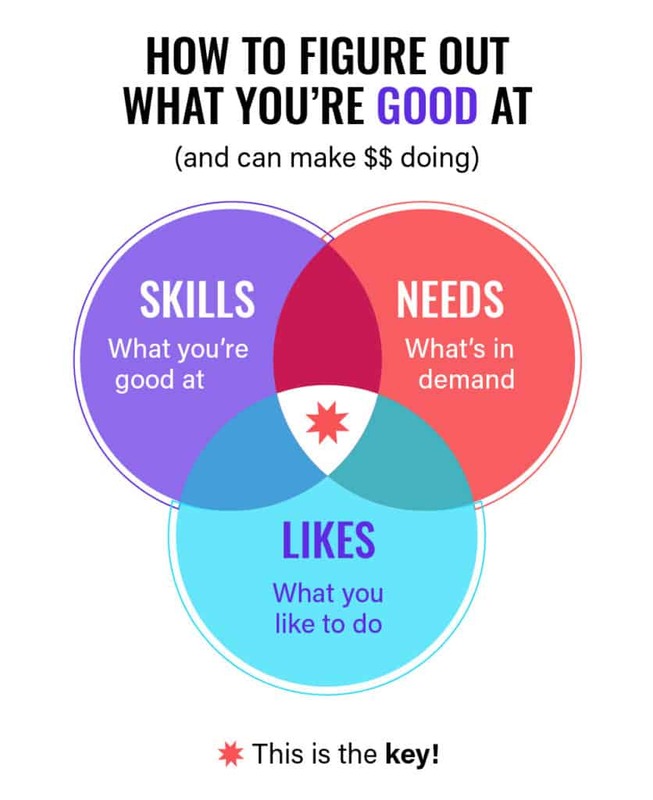 List all of your skills and likes and research/think about what’s in-demand. Then, see what overlaps. For example, if I really enjoy computer programming, and I’m not bad at it (and I’m learning more everyday), I could write for blogs that newbie developers read, like SitePoint, freeCodeCamp or Tuts+. All I did was Google “developer blogs that accept guest posts” and “development blogs guest posts.” Then, up popped a bunch of lists of the best dev blogs that accept guest posts. As I mentioned above, you should pick specific topics to focus writing about, because it will be easier to get jobs that way at first, and it will increase your rates faster (because you’ll be known as an expert in the space). When you reach out to an editor with a “pitch,” or a blog post idea, then you’ll be able to explain to her why you’re the right person to write this post you’re pitching. It’s important because author expertise is a ranking factor on Google and also because it’s a trust factor with their readers. Here’s a resource on writing a really good outreach email that should help you with writing your pitch emails. Additionally, if you don’t have a portfolio, consider writing a sample post so the editor can get a feel for your writing. Try to get someone—like the newspaper editor at your school or a journalism professor—to give you feedback on that sample before you submit it. And last but not least, you’ll land gigs if you write well. Here’s an in-depth guide on how to write a really phenomenal blog post. Where can I find gigs? 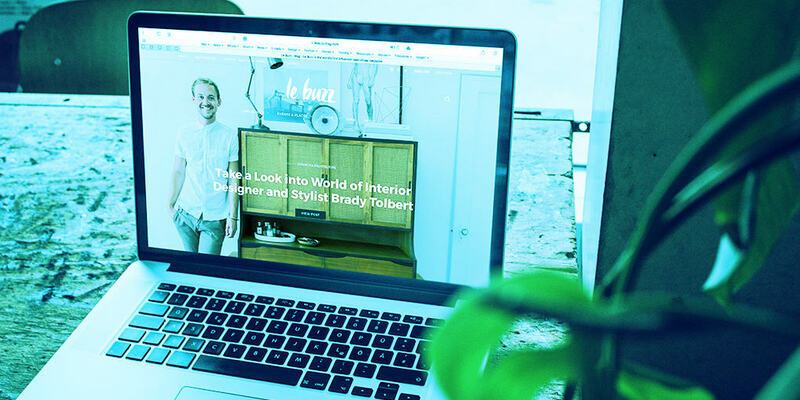 Not only did I make money by freelance writing in college, but I also earned money (and gained experience) by building WordPress websites for small businesses. That means there’s a huge market for WordPress websites. WordPress is the world’s most used content management system (CMS), which means it’s a very good technical skill to have under your belt, regardless of what you want to do someday. How do I learn how to build WordPress websites? Here’s a completely free WordPress course, which will walk you through, step-by-step how to to build WordPress websites and sell the service to SMBs. Selling gets a bad rap, but it shouldn’t… and it doesn’t from millionaires like Mark Cuban, and actors like David Walton. And that’s because, like it or not, life is sales. Remember when you tried to talk your parents into staying out past curfew? You were selling them. And remember when you tried to talk your teacher into rounding up that B+ to an A? Again, you were selling. Research shows that, on average, people spend 40 percent of their time at work engaged in “non-sales selling,” meaning persuading, convincing, and influencing others. In other words, we spend almost half our time at work trying to move people. Unfortunately, they don’t teach you how to do the above in school or on the job—at least in my nearly eight years of professional experience I’ve yet to have someone train me on this, even after begging for help with it. One way to circumvent this problem is by getting a job selling a proven product. For example, at Vector, new reps get trained on connecting with customers, presentation skills and systems for landing appointments. While some of the training is product-centric, 75 percent of it helps trainees acquire soft skills, which can be transferred to future jobs, academics, and even personal relationships. Why do sales positions get a bad rap? 1. There’s no barrier to entry. Anybody can try it. It doesn’t take a degree. All it takes is a willing attitude. So people automatically assume it’s too good to be true. 3. Sales is not for everyone, even if it appears that anybody can do it. The position is simple, but not easy. 4. There are some bad players. Investigate companies that don’t have a formal training program and that don’t offer any type of base pay. These are red flags that a company may be expecting you to figure it out on your own. If an opportunity seems too good to be true? It probably is. So always do your due diligence. And one more thing. Don’t always expect to be paid in every entry-level sales training opportunity. Often times the bigger opportunities require greater front-end commitment. According to this website, it costs $400-$1000 to get a real estate license. And the process could take 2 to 3 months. Yes, some will make lucrative income selling homes. But not everyone will kill it selling homes and the job isn’t for everyone. Which sales jobs are most lucrative? What professions come to mind when you think of rich people? Probably doctors, attorneys, CEOs and celebrities. 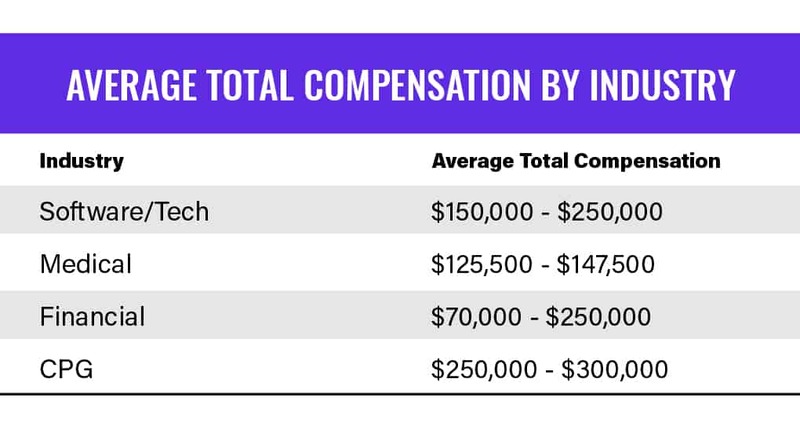 But the truth is that sales professionals can be the highest paid workers in the U.S., as long as an employer offers an unlimited earnings potential compensation program. In fact, salespeople can make well into the six figures, especially if they’re working at a tech company selling B2B products, such as SAP and Cisco Systems. 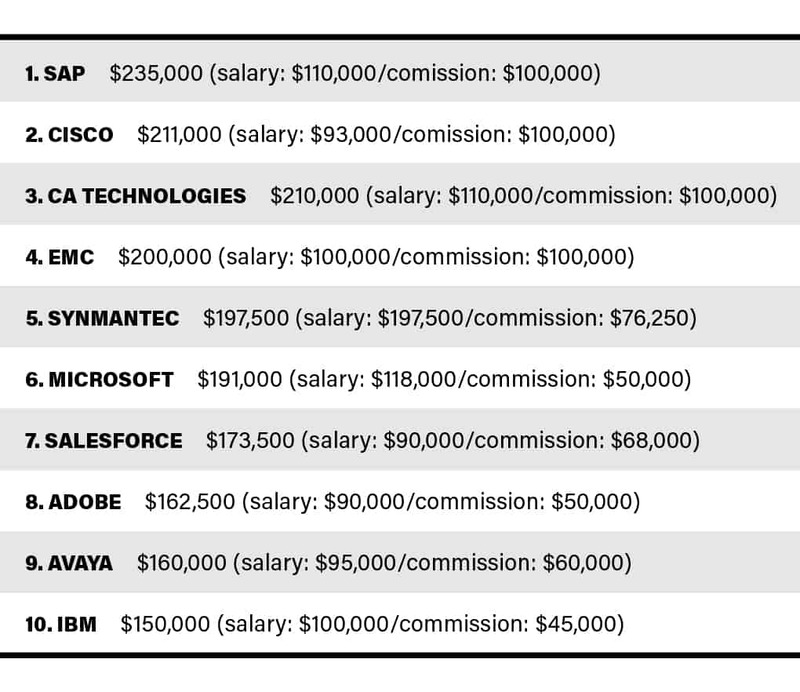 Take a peek at the below chart to get an idea of salary ranges for each of the top sales sectors. What type of people succeed in sales? There’s no way to know if you’ll succeed in sales for sure until you try it, but there are a few common characteristics of successful salespeople that may surprise you. While the No. 1 trait of a successful salesperson is a positive attitude, the No. 2 trait is not being an extrovert… It’s being an ambivert. An ambivert is someone who isn’t necessarily extroverted or introverted. They’re just somewhere in the middle. 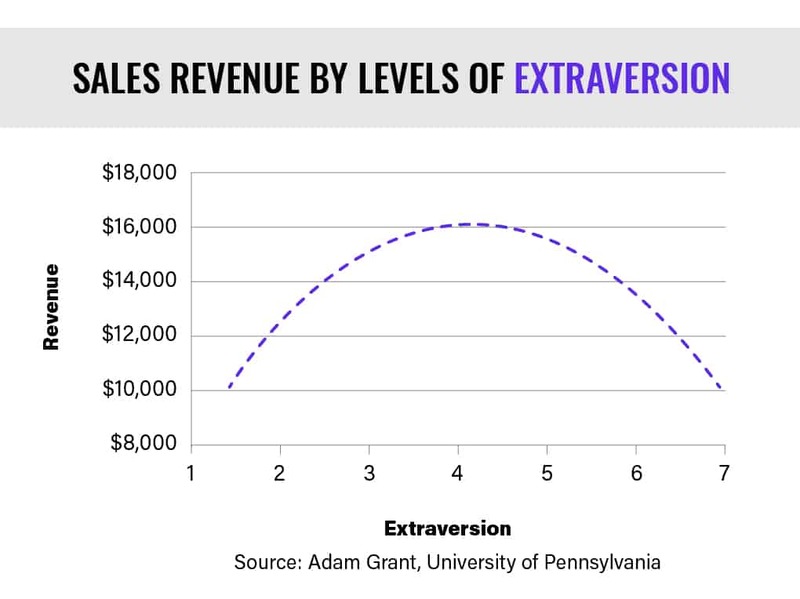 At least, this is what the science says, according to Adam Grant, who examined a software company with a large sales staff, assessed where each salesperson stood on a one to seven introversion/extraversion scale, and then charted how much they sold over the next three months. As you can see in the above chart, Grant discovered that the most successful salespeople resided somewhere in the middle of introverted and extroverted. 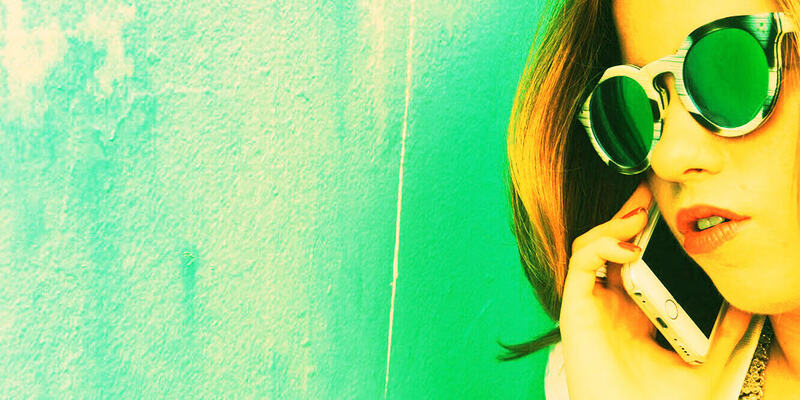 Do you know the story of how Nasty Gal got started? Founder Sophia Amoruso used to visit vintage stores, and resell the items she found on eBay. She was really good at finding the right items, for the right price and taking pictures of really hot looks she put together herself. It all comes down to packaging. More recently, Gary Vaynerchuk had this idea, with his #2017flipitchallenge, which encouraged fans to sell stuff they found offline, online, at a profit. A flipper is someone who buys something at a lower price point from one market, and sells it at a higher price point to another market that is looking for it. Some people may be familiar with the shows American Pickers and Storage Wars. All of those people would qualify as pickers and flippers. They pick through used items, find out what they can sell, and then turn around and sell it. Another popular example of flipping: houses. Many people buy houses that need some TLC, fix them up, and then sell them for a higher cost. Pickers and flippers are buying from one market and selling it to another (usually with a little bit—or sometimes a lot—of work in between). And there’s many more success stories where these come from. Antiques (all varieties): People love antiques, and nostalgia has a funny way of affecting an item’s value. Tables and chairs made of real wood: You can find these at almost any thrift store or estate sale. They often need sanding and a new coat of finish to look brand-new, which makes your potential profit margins high. Vintage lamps: Lamps can be hit or miss, but many vintage lamp styles are currently in style. Upholstered chairs: I have seen many ugly chairs get new life after a professional reupholstering. Older chairs with wooden legs were built to be reupholstered, not just thrown out when they experienced wear and tear. You can do it yourself or pay an upholsterer. Jukeboxes: Many people are in the market for record players and jukeboxes which have been retrofitted with Bluetooth speakers. If you’re a competent DIY-er with a bit of creativity, you could make a big profit on this project. Porcelain sinks and bathtubs (rare, but a good find if they are in good condition): This job isn’t for the faint of heart, but reglazing clawfoot bathtubs can often be profitable. Here is a helpful guide. Canvas paintings: Often old canvas paintings are worth very little, but once in a while you may find a good one! Picture frames: Vintage picture frames are highly-sought after items. They tend to stay in families for generations, but sometimes they pop up. Brand-name clothing with price tags still attached: This is a big potential money-maker! Be sure to inspect clothing very carefully, as most sellers will not honor returns or refunds. Vintage kitchen tools, such as meat grinders, butcher tools, etc. Light-up ceramic decorations: My parents still have a light-up ceramic Christmas tree that my aunt made for them when I was young. They have become very rare finds. Vintage Mason jars: Concerns surrounding BPA and other chemicals have made Mason jars very popular. Video game consoles (Atari, NES, SNES, etc.) and game cartridges: Many old-school video games are worth far more than the average person understands. If you are or were a gamer as a kid, this is your chance to put that knowledge to good use! You can often find games for as cheap as $1 and resell them for over $50 if you’re smart. Read more here. Vintage globes: You’ll be mostly limited to local reselling of globes, but it can still be quite profitable. Old cameras and camera lenses: I’m not a photographer, but I have heard that many older DSLR lenses work well on newer camera models. Brand name anything: Anything that sells out fast, like Supreme or anxiously awaited sneakers, will be in high demand. 1. Bring your phone. You want to buy low, and sell high, so you must know what things are selling for online. Check eBay, or use a tool like this, to help determine how much you can get for an item. Check other things like the average current bid, how many similar items are on eBay, and any available past sales information. Don’t forget that the item’s “condition” will affect the price, so look for items in similar conditions. 2. Know product launch schedules. When does Supreme launch its next collection? Visit websites like Hypebeast or Highsnobiety to know when to expect these, so you can purchase new items and resell them at a high profit. 3. Check for stamps. If you’re not sure how much a piece of pottery or jewelry is worth, look for a marking/stamp somewhere on the item. Then you can see how that corresponds to resale value. There are websites specifically for this, like: Kovels and Lang Antiques. 4. Visit rich areas. Wealthy areas will have better brands at thrift stores and TJ Maxx and Marshalls (discount stores). 5. Know discount days. Stores, like Marshalls, HomeGoods and TJ Maxx, have days where they deeply discount items because they need to make room for the next batch. 6. Package it well. By packaging, I mean clean it up, and take good pictures. This will help your items sell faster. 7. Keep an inventory spreadsheet. Like this. 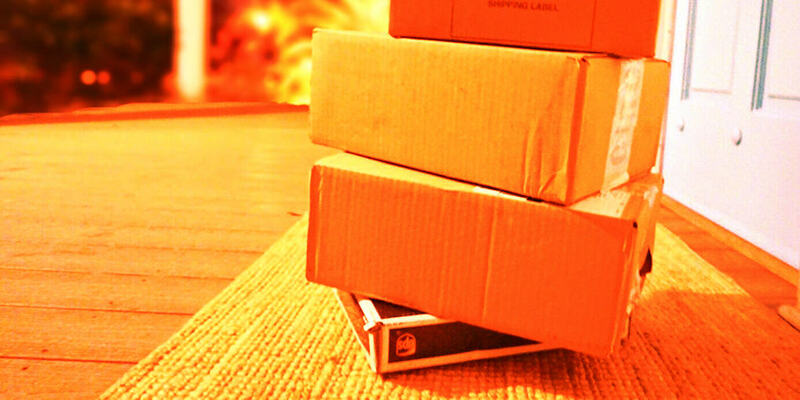 Dropshipping is a low-cost way to launch an ecommerce store. All you have to do is find a product to sell; list it on your website; and send an email to the supplier to ship the item on your behalf every time someone makes a purchase. With dropshipping, you don’t have any inventory. Instead, you purchase the item from a supplier, who ships it directly to the customer, so you never have to see or handle the product yourself. Here’s a list of criteria you should look for when deciding what to sell. Potential market size: You want a large potential market. Competition: Strong competition isn’t a bad thing, if you can find a good differentiator. Trend, fad or growing market: Check out Google Trends to see if this has long-term sustainability. Local availability: You want something that isn’t easily available locally—like speciality products, such as magician supplies. Target customer: Make sure your target audience is comfortable buying online. Markup: Find a product you can markup 5-10x. Selling price: Look for a product you can sell between $75 and $150. Limited SKUs: Don’t sell a product that has a ton of variations. Product size/weight: People expect free shipping. Consider this when calculating your selling price and what product you’ll sell. Durability: The more fragile your product, the more likely it is to break when shipped. Seasonality: Google Trends can help you figure this out too. Passionate niche: Can you find a niche of hobbyists or passionate customers to sell to and build a cult-like following? Low product turnover: If you find a product that has a consistent product line over time, then it’s less maintenance on your end. Consumable/disposable: Does your product need to be reordered on a regular basis? This is good → repeat customers. Perishability: You don’t want something that is quickly perishable. Restrictions and regulations: Before you go ahead and purchase inventory for any product, make sure you talk to your shipping company, customs broker, and your warehouse to make sure there are no restrictions or regulations on your product. If you want to see the top trending products of 2018, check out this post, and if you want to learn how to spot trends yourself, check out this post. How do I know if I picked a good product? There’s no surefire way to tell until you try, but this product evaluator tool might help. 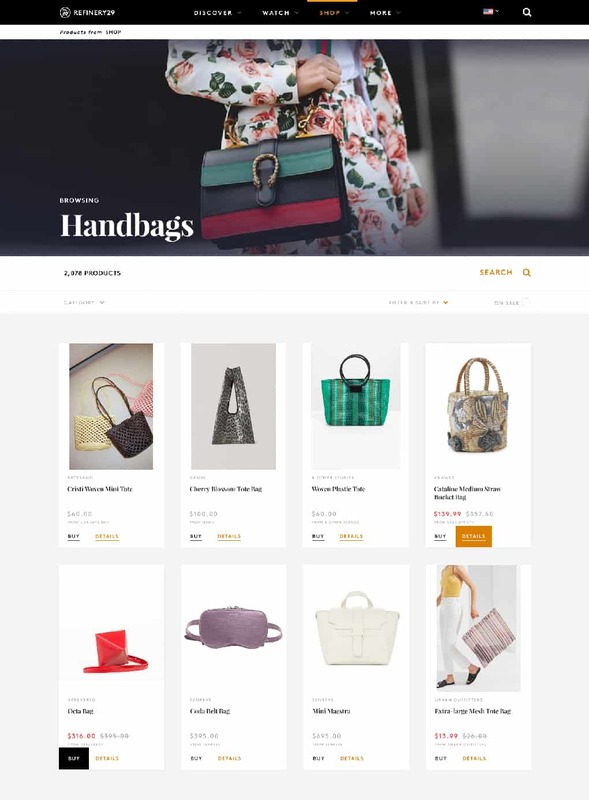 How do I create a dropship store? That’s an entire blog post in itself. Here are some juicy, in-depth resources for you though, that will answer this question. Affiliate marketing is when you earn a commission from promoting other people’s (or company’s) products. Find a product you like, promote it, and earn a piece of the profit for each sale that you make. Many niche blogs that share valuable content with their audience for free make money from affiliate ads, like the ones you see in the screenshot below from Smart Passive Income. Blogs like Smart Passive Income will usually have a “resources” or “start here” page that lists referral links, which have special “referrer codes” so the company/person knows who gets the commission for sending the visitor to their site. I’ll give you three more examples of sites doing affiliate marketing, so you can get a good feel for this. The popular website, known as The Muse, also does affiliate marketing. 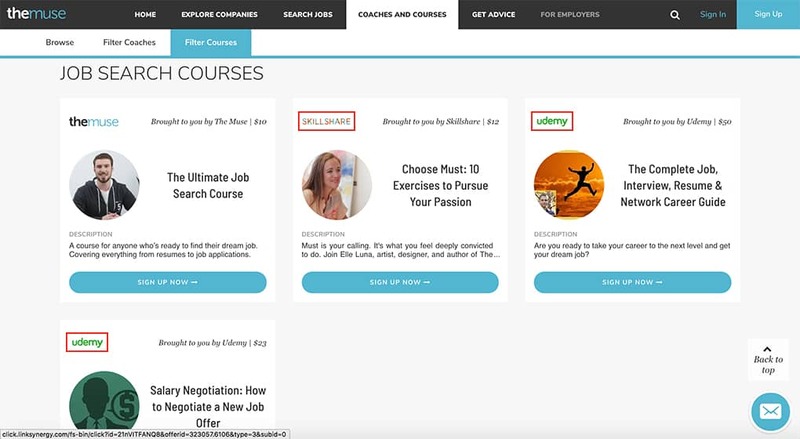 If you click on the “Filter Courses” tab, you’ll see links to courses on other websites, like Skillshare and Udemy. If you look closely at the screenshot above, at the very bottom, you’ll see a long, messy link. That’s a referral/affiliate link because it’s letting Skillshare/Udemy know who referred the prospect/customer to its course so The Muse can earn a commission. This shop is not stocked with Refinery29 products. It’s a curated collection of affiliate links to products they have partnerships with. My last example is Business Insider’s Insider Picks. 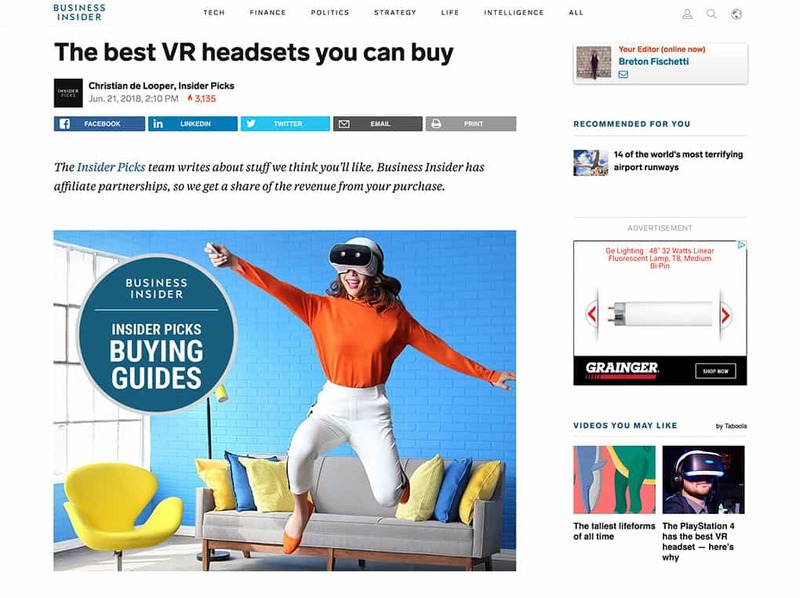 Insider Picks recommends products they have affiliate partnerships with and curates collections, like the screenshot example above curated the best VR headsets. Each link has a special “referrer” code in the URL that tells partners which site sent traffic to their way. Yes, working at a high-end restaurant, like Houston’s, where I waitressed for about a year, can earn you some serious dough, fast, and teach you A LOT about life. Houston’s was my hardest job to land. It took about a month of tests to finally get in, but once I did, it was totally worth it. I was able to pay cash for a car (granted, a used car) within a few months of working there. Not only did I gain invaluable soft skills, but I also networked with some incredibly wealthy and powerful people. Websites pay sites, like UserTesting, to get people to visit their website and complete a set a tasks and/or answer a few questions about the site. They do this because they want to see how easy their website is to navigate and how they can improve it (increase conversions, i.e. customers). Where can I find user testing jobs? UserTesting: You’re paid $10 for every 10-15 minute test you complete. No webcam required. Whatusersdo: Get paid $8+ via Paypal per 15-20-minute test. Must have a Mac or PC, Internet access and microphone. UserTest: Get paid $10.50 per test. Enroll: Get paid to test websites before they are launched. UserFeel: Get paid around $10 per test. Start Up Lift: Get paid $5 per test via Paypal. Analysia: Get paid $10 per 15-minute test. TryMyUI: Get paid $10 per 15-20-minute test. Userlytics: Both webcam and microphone are required to test. Get paid $10 per test. Testing Time: Get paid to conduct user testing studies, and earn up to $50 per test, paid via Paypal. A VA provides support to someone from the comfort of their home or their favorite coffee shop. While being a VA isn’t a very lucrative career, it is one that will teach you a lot quickly, so if you’re lacking in soft (or hard) skills, I recommend giving this VA thing a genuine shot. VAs basically do anything their boss needs—from scheduling social media posts to booking appointments and responding to emails. Because VAs aren’t paid a lot, most live overseas, which can make communication difficult due to language barriers and time zone differences. This is a huge pain point for outsourcers, who don’t have the time to hand hold. All of the above are prime reasons why you’ll stand out amongst the other VAs in the marketplace. You live in the U.S. You’re a smart college student. And you can read between the lines since you’re a native English speaker. Where can I find VA jobs? Business owners will spend a lot of money on the right domain name. This guy spent $1.5 million, and his company isn’t even mainstream. And he’s far from the only entrepreneur who has blown massive amounts of money on a domain name. So why not buy good domains on the cheap, and then put them up for sale? Or better yet, why not buy good domain names on the cheap and then build a website on top of it that you can sell? 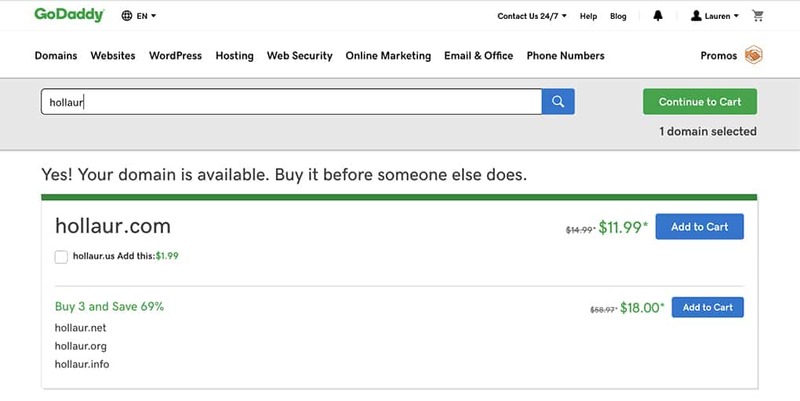 FYI: A regular secondary market domain name (normally a two-word domain name) with a .com extension usually sells for anywhere around $2000. On the whole, not many domain names fetch a price higher than $5000. Hence, keep that in mind at the time of pricing your domain’s. Keep it short: Keep your name short and memorable. One or two words is best. The top 100,000 websites, on average, have nine characters in their domain names. Make it easy to type: Finding a domain name that’s easy to type is critical to online success. If you use slang (u instead of you) or words with multiple spellings (express vs. xpress), it might be harder for customers to find your site. An example of a bad domain name is freelanship.com. I bought freelanship.com a long time ago, before I realized everyone spells it freelan**ce**ship. Use keywords (exact match domains): What are people searching for? Use those search queries to help you decide on a domain name. Try using keywords that describe your business and the services you offer. For example, if you’re a glass replacement business, you may want to register GlassRepair.com or GlassReplacement.com. Where can I get domain name inspiration? Where can I purchase soon-to-expire/expired domain names? Where can I purchase available domain names? Education is the second largest industry in the U.S. following healthcare, with $1.6 trillion spent annually in the U.S. alone and $5.5 trillion globally, as of 2015. Times are changing fast, and with it, people need and want to develop new skills to better themselves. What do you know how to do that you could teach someone else to do? How do I monetize my knowledge? You could be a paid mentor. Check out Openmind, a chat-based mentoring platform that allows you to mentor students anywhere, anytime. Earn ~$50/hr for what you know. You could offer chat support. Check out Codementor, if you’re good at programming, or Fiverr, if you offer anything else. You could grade homework. Udacity hires on-demand “project reviewers” to check its students’ work and provide them with immediate feedback. They train you. You could create a YouTube channel. Teach people things via YouTube, and get money via ads. You could create a course. Use a tool like Podia to make this a breeze. You could write an ebook. Get inspired by searching the popular new releases on Amazon and Gumroad Discover. You could create a membership site, like Mark Manson. Patreon seems like an easy-to-use tool to create your own. You could train athletes, if you’re into (and good at) sports. The best thing about these gigs is that you can juggle more than one at a time, allowing you to gain more experience (and income) faster. A traditional internship could hold you back by forcing you to live in an office and commit to an entire semester, before you even know if you’re going to like what you’re doing every day. Now, you know your internship alternatives. The question is: Will you step outside the box, and give one of them a try? Yay! People nowadays, do everything for money. This list is surely helpful! Thank you. Thanks again for the article. Really, thank you! Awesome.